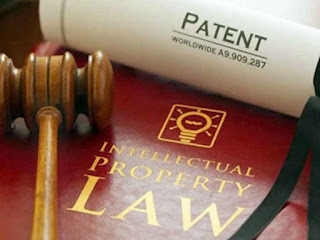 According to the World Intellectual Property Indicators 2018 report released by United Nation's World Intellectual Property Organisation (WIPO), number of patents granted by India shot up by 50% in 2017. The patents granted by India increased from 8,248 in 2016 to 12,387 in 2017, thus keeping up a trend of steep increases. Patents granted in 2017 in India were more than double than 6,022 patents granted in 2015. Of the total patents granted in 2017, 1,712 went to entities and individuals based in India, and 10,675 to foreigners. The steep increase in number was driven by patents granted to foreigners, which accounted for 85% of total increase. The number of patents given to domestic entities has also shown an increasing trend. In 2016, 1,115 went to domestic individuals or entities and 7,133 to foreigners and in 2015, 822 were granted to applicants in India and 5,200 to foreigners. China led world with 4,20,144 granted patents and was followed by US with 3,18,829. It is the global body for promotion and protection of intellectual property rights (IPR). It is one of the 15 specialized agencies of United Nations (UN). It was established in 1967 and is headquartered in Geneva, Switzerland. Its mandate is to encourage creative activity, to promote the protection of intellectual property throughout the world. It encourages and provides assistance to all its 188 member countries in formulating national IPR policy, however it does not dictate or prescribe any mandatory measures. Q. According to which report released by United Nation's World Intellectual Property Organisation (WIPO), number of patents granted by India shot up by 50% in 2017?